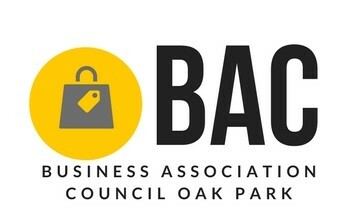 BAC Meeting - May 22, 2019 - Oak Park-River Forest Chamber of Commerce, IL ? Informal, meeting of Oak Park business district leaders, business association headers and all other interested Oak Park business owners who gather to share information. The meeting brings together business people and Village Staff for the first hour (8am - 9am), followed by a 30 minute discussion (9am - 9:30am) between business leaders themselves. Village of Oak Park Updates: timely business updates as well as presentation on the month's "primary topic"
All business owners are welcome.